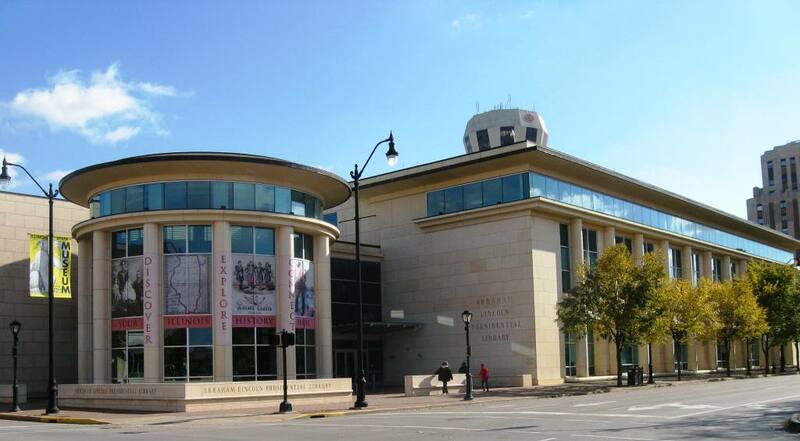 The site of the Abraham Lincoln Presidential Library and Museum is one of five areas of Springfield that Fever River Research has studied exhaustively. The resulting reports are extraordinarily informative historical and archaeological analyses. Fever River Research says it “specializes in cultural resource management projects that are associated with historic properties that date to the recent past. We conduct a variety of projects that include historical archaeology, architectural studies, National Register of Historic Places nominations, and traditional history.” Many, but not all, of its studies have been published online. The 2000 survey of the ALPLM site covered a three-block area bounded by Sixth, Seventh, Adams and Madison streets. The library was completed in 2004, and the museum was dedicated in 2005. Fever River’s museum study includes a lengthy general history of the settlement of Sangamon County and the city of Springfield, as well as a disquisition on brothers Josiah and Simeon Francis and their Sangamo Journal, the original predecessor of the State Journal-Register daily newspaper. Fever River’s website was hacked in 2014, and most reports formerly online are no longer available. However, major parts of the ALPLM report have been republished in a 2014 article, Archaeology, the Civil War, and the Home-Front in Springfield, Illinois, that is available on the Fever River site. In addition, two PowerPoint presentations of some of the study’s findings were recently made available. Note: Both PowerPoints begin with an image labeled “Oil Painting of Downtown Springfield (Weimar, 1858); however, both the attribution and the date are questionable. See 1850s Springfield, in four mysterious paintings. This entry was posted in Early residents, Fever River, Histories, Lincoln, Abraham, Museums, Prominent figures. Bookmark the permalink.